Cats really are the kings and queens of their domains. They’re territorial by nature, and as such, they like to keep an eye on the goings-on of the household. 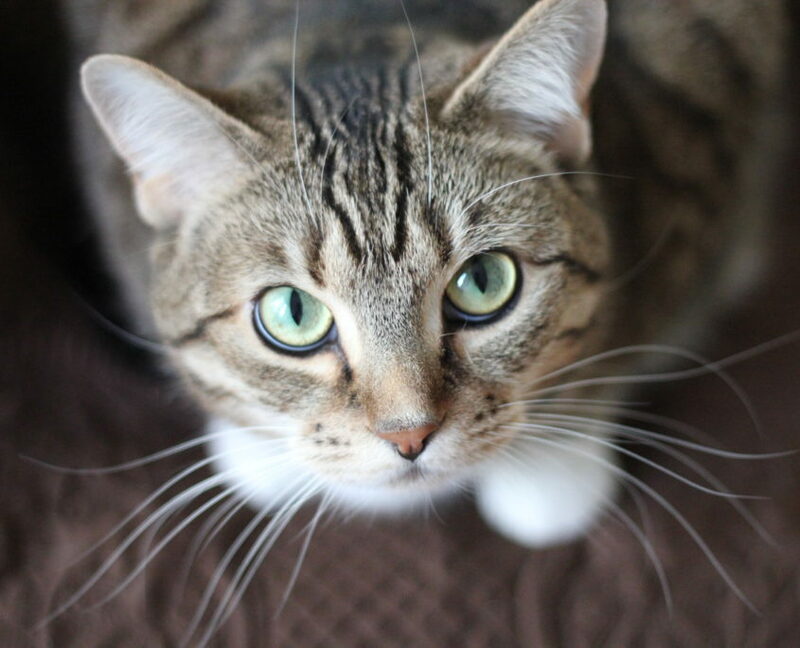 Whether they’re perched regally atop the highest cupboard in the kitchen or slyly keeping watch from beneath the living room couch, felines prides themselves in knowing what’s going on in the home front. Some cat owners, perhaps we could be called “crazy cat people” but that’s fine, feel the need to build our cats habitats befitting their royal status. We want them to be happy and physically and emotionally healthy. A cardboard box in the corner simply won’t do. Our cats need enrichment; they need castles from which to rule the roost. 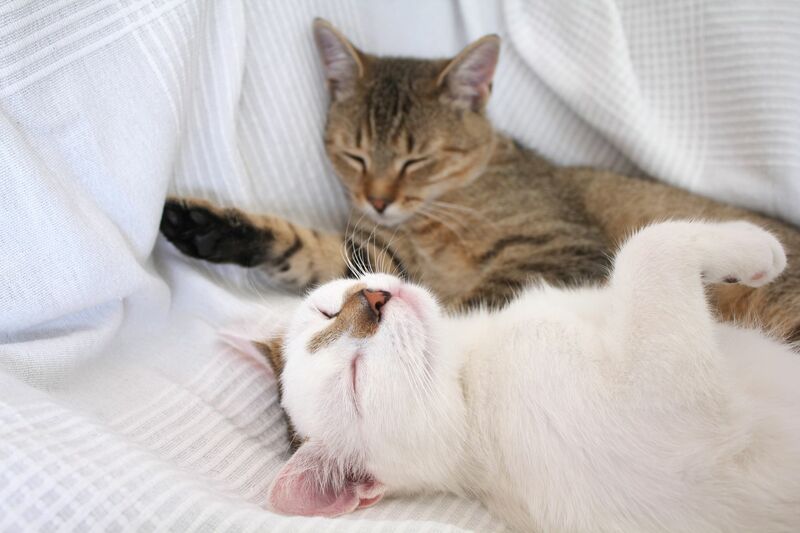 Here are the important elements to consider when drawing up the plans for your cat’s dream castle in the clouds. Every castle has at least one grand tower. It’s a place from which its occupants can scope out the goings-on below and intervene if necessary. Like if, say, a dog from a neighboring village starts to root around in the Queen’s food dish. Not cool, dog. Because the tower was traditionally used as a strategic high-point from which to launch defenses, it signifies one’s power and cunning. Also, cats just like being high. Once you’ve decided upon the tower design, the next step is to settle on the landscaping. There’s a common misconception out there that cats see in black and white. But in fact cats, like humans, have all three cones that let them see red, green, and blue. Their vision is certainly different than human sight — we can get a glimpse of a cat’s world through the lens of artist Nickolay Lamm — but there’s no doubt that they do see in color. Clearly the landscape in which your kitty castle resides is of the utmost importance. We want everything about the environment to be enriching. To make your cat’s castle haven a panoramic experience, place her tower in a corner with a window on one side and a wall on the other. We’ll talk more about the window soon. As for the wall, instead of leaving it boring and white, give her a view of a lovely vista. You can paint a mural, hang photos, or if you’re anything like me and art isn’t your strong suit, you can have someone else do the artistic work for you. There are no limitations. If lovely vistas aren’t to your cat’s taste, perhaps a large-scale decal of a peaceful koi pond would do the trick. No matter the scenery, no castle is complete without view. Indoor and outdoor cats alike love the fresh air and the glimpse of the outdoors offered by a window. When possible, set up your cat’s castle near one. But remember that it’s not always safe to leave those windows open. It’s best to close them when you’re not home, and even when you are, some indoor-only kitties simply can’t be stopped by a little thing like a screen. I mean come on, when a squirrel darts down the sidewalk outside, what cat in his right mind wouldn’t’ bolt after it? 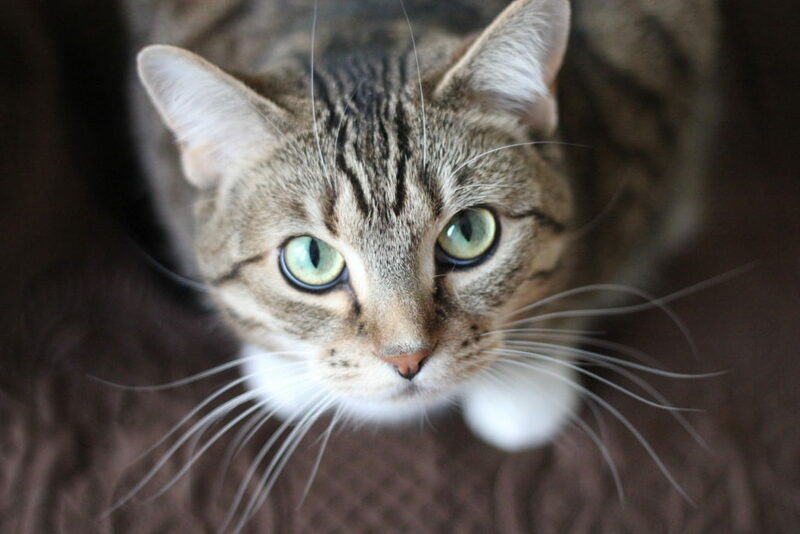 If your home and/or your cat isn’t open-window-friendly, make sure to keep the air quality in the house up to snuff. 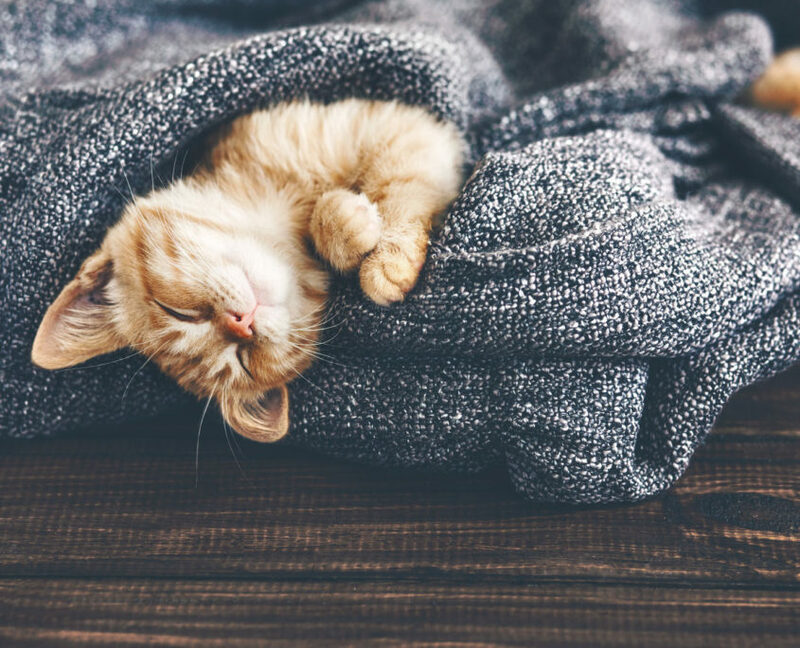 Little things like dusty air ducts might only be a slight irritant to humans, but can wreak havoc on a feline’s sensitive scent and respiratory systems. We want our royalty to be healthy. The final element in creating your cat’s perfect castle is to make it cozy and inviting. After all what use is a castle if there’s no one there to live in it? There’s no saying what kind of cloud is your cat’s favorite — they’re so strangely particular — but surely you know their preferences. My cat’s favorite cloud, for example, is a fuzzy purple blanket. One I was given for Christmas, for me, and then she claimed it as her own. Though I was loathe at first to let her have it, it now sits atop her cat castle and really is the cherry on top of the sundae. 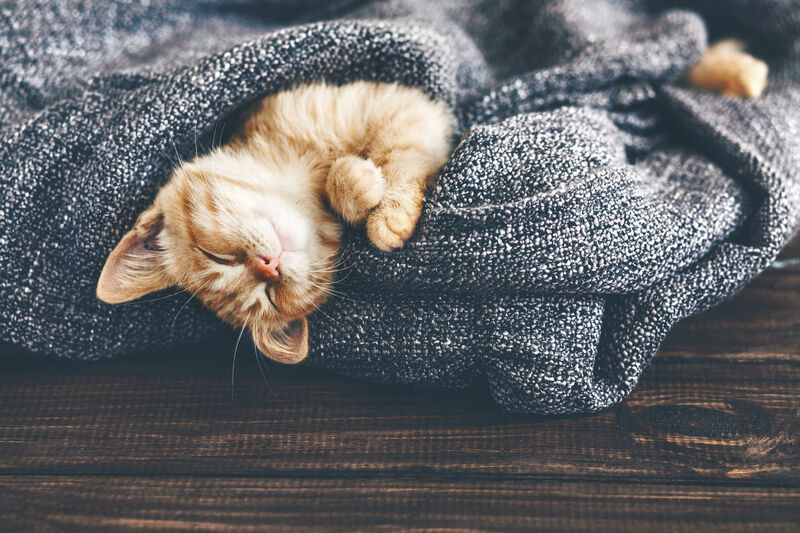 To avoid your cat stealing your warmest blanket, try investing in a heated pet bed that’s simply too cozy for any feline to turn her nose up at. High on her castle perch, nuzzled in her cat bed, your cat can fully be her most regal self. It is her throne. Some people might say that building a castle for your cat is overkill. But they clearly aren’t cat people. We all have our funny ways of pampering our pets. And making them a fun and enriching habitat is simply part of being a good pet owner. How do you spoil your cat?